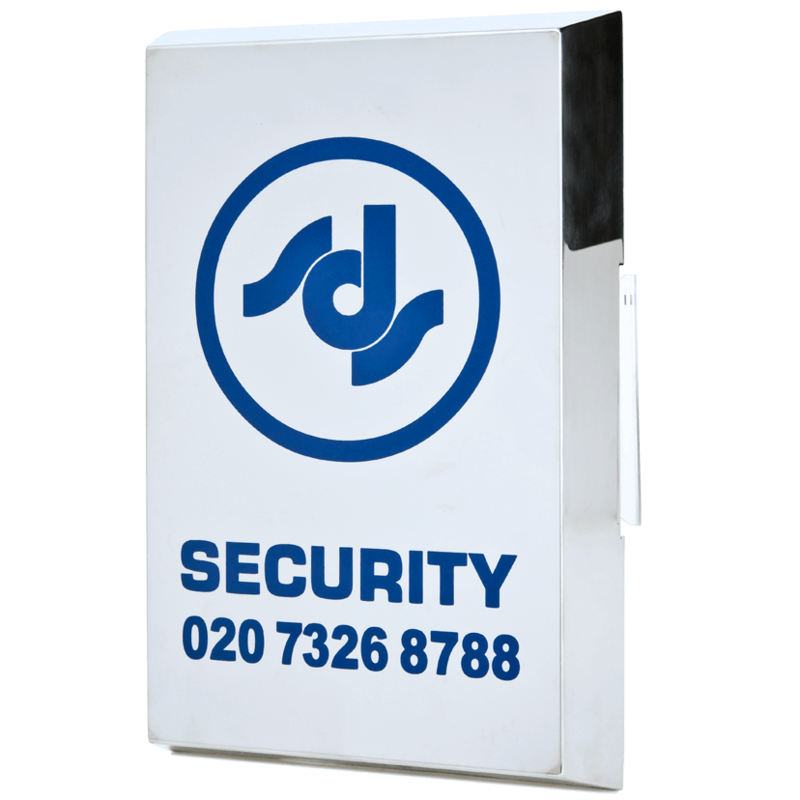 SDS can secure your commercial premises with a NSI/Police approved intruder alarm system. Commercial alarm systems are often driven by insurance policy compliance. Being a NSI gold installer with over 30 years’ experience SDS has the knowledge to ensure that we design and install a suitable security system to keep your premises, contents and staff as safe as possible. Our surveyors will visit your premises to conduct a full risk assessment and can liaise with your insurance company, facility manager or builders, we will then produce a free no obligation quotation. SDS only supplies and installs top quality system components supplied by major manufactures in the commercial security industry with a proven record, all our systems will be accredited with a NSI compliance certificate upon installation and testing. After installation full training will be given to management and staff on system settings and requirements although modern security systems are very easy to use and our helpline is available 24 hours a day to assist if needed. Our alarms can be fitted with panic, fire, flood, gas and temperature sensors depending on your needs. Access control, CCTV and perimeter security can be fully integrated. 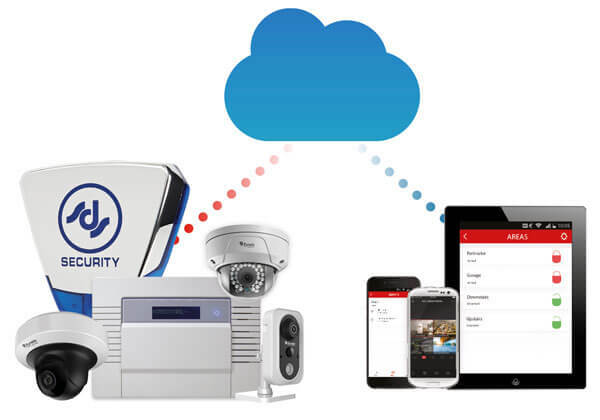 A fully integrated security system combines a number of different security products into a solution that’s right for your business. Fully integrated systems maximise your commercial security by linking up standalone systems such as access control CCTV and perimeter security, giving you extensive monitoring capability and more control over your business security. You’ll have total control of business access whether you’re at work or on holidays, with visibility via the app on your smartphone or laptop. The experienced SDS team can conduct a free site survey and propose an integrated system that suits your business needs. If your alarm is triggered most intruders will make a quick exit with a high pitched internal siren and external bell box activated. With an audible only alarm this is the end of the story unless neighbours or a passer-by reports it to the Police with specific evidence of a crime taking place. The bells will cease in 15 minutes and the alarm will reset omitting the previously activated sensor. Although current NSI / Police approved wireless alarms are as reliable as hardwired components the nature of your premises and business will usually affect which is suitable. Often a hybrid system consisting of both wired and wireless components will be used. Monitored alarms allow you, your key holders or our ARC (Alarm receiving centre) to be alerted if your alarm is activated. The most suitable monitoring will depend on budget, the risk level and insurance requirements. Guaranteed response from the emergency services requires monitoring via an ARC. Please see Monitoring for further information. We understand that staff vigilance and holistic security thinking is just as important as security systems. We don’t just secure your businesses but educate you and your staff in security and pass on our years of knowledge and experience to give an insight to how intruders, thieves and vandals think and the vulnerabilities they will be on the lookout for. Have An Existing Intruder Alarm System? If you’re unhappy with the levels of service you’re receiving with your current security company we happy to take-over existing systems so you can benefit from our high levels of customer service, maintenance and competitive rates. Talk to us today about how we can help.